Hooking this piece has been a joy, and it allows me to bring so many pieces of our history into play. Some of the wool was handed down to us from the wardrobe of a great aunt and uncle. The leaves and bits of the sky are highlighted with yak yarns my husband brought home for me from a very special trip to Tibet with his father. Well, not much needlecraft happened this weekend, but plenty of cookies were baked, not to mention consumed. 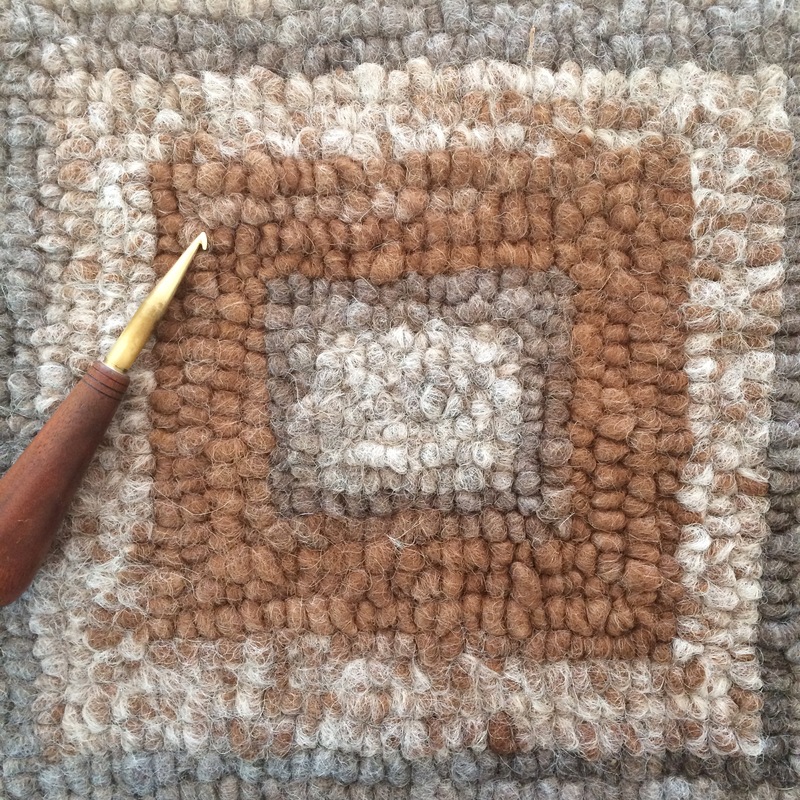 My weekdays are happily and soundly packed with shipping orders, fulfilling custom orders, and creating new works for my shops, but that has left little time for my biggest rug hooking project yet. Sundays seem to be the day I get to settle in with a great audiobook, hook in hand and silly wool worms (that I still can’t believe can make anything so lovely) at the ready. It is a blissful pursuit. 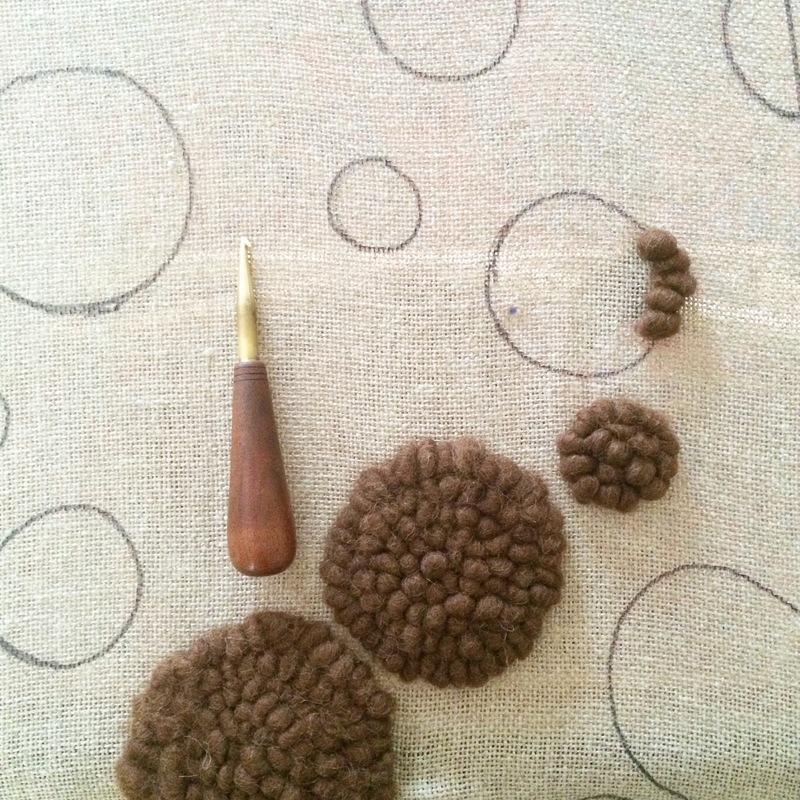 The Paisley Rug is inching its way towards completion. 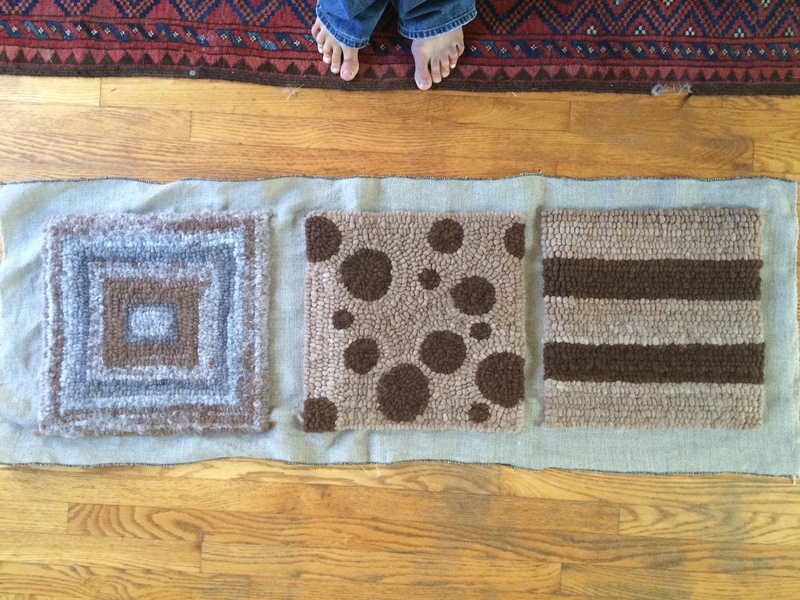 a rug made by drawing up loops of fabric or yarn through a foundation fabric such as burlap or linen to form a pattern. 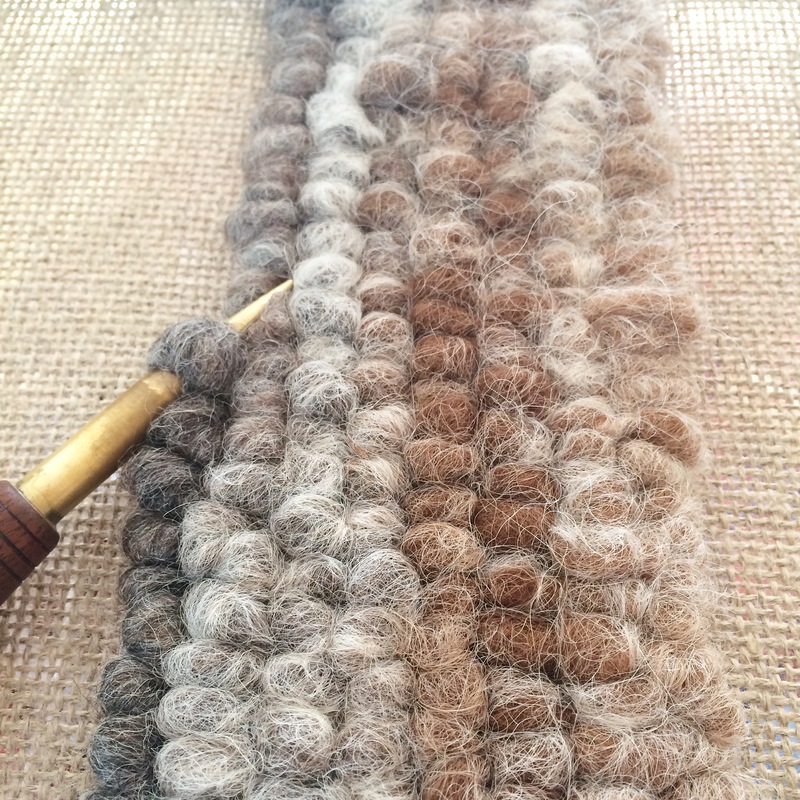 a technique developed in the mid-1800s in N. America using bits of wool from old clothing and feed sacks for the foundation. Sources: dictionary.com and Old Oaks Ranch.